Each weekend, BBC's Saturday Kitchen brings us the world's greatest culinary talents and shows us how to cook delicious food right in our own kitchen. 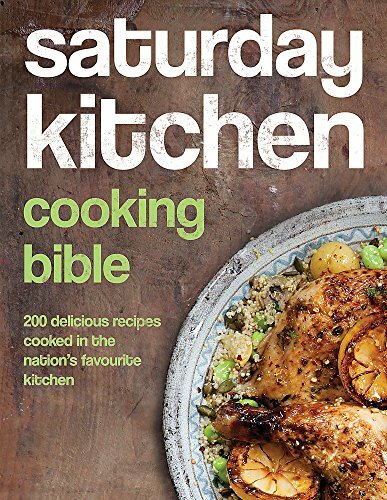 The Saturday Kitchen Cooking Bible is a stunning new collection of recipes, with an introduction from James Martin, that will inspire and delight. All of the recipes have been cooked on the show and now you can make them at home. There are stress-free 30-minute meals such as Bill Granger's stir-fried chilli pork, ideas for satisfying weekend lunches, such as Angela Hartnett's chicken with chorizo, peppers and sage, James Martin's hearty beef and ale pie, and sensational dishes from Michelin-star greats like Jason Atherton and Michel Roux for when you really want to impress. Be inspired to create some wonderful dishes of your own. 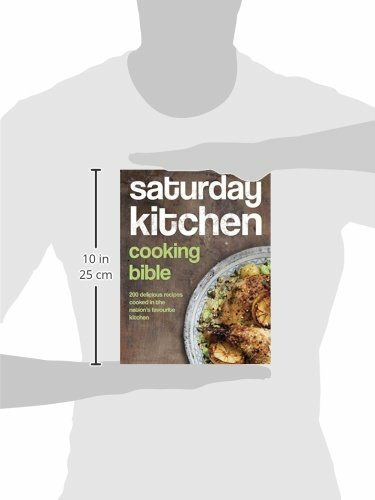 Now you can with the Saturday Kitchen Cooking Bible. Ideal for avid watchers of Saturday Kitchen. This hardback book has 352 pages and measures: 25 x 19.5 x 3.5cm approx.